Here are some of our highlights from this year's 2018 Caravan, Camping, and Motorhome Show at the NEC in Birmingham.  Did you miss the Caravan, Camping, and Motorhome Show this year? Then read this to get some of the highlights we saw. Are you considering getting an inflatable tent? We compare 4 different popular brands. Lighting for camping keeps getting better and better. Here are 7 cool camping lanterns and lights that are great for family camping.